This recipe and blog post is sponsored by O® Organics products, which are available in the Seattle area exclusively at Safeway. I’ve been a huge fan of USDA certified O Organics products at my local Safeway for years, and if you haven’t checked them out yet, I hope you do. They’re really the best! Back in high school, I wrote an essay about the meaning of home. I don’t remember much about the essay, other than two things. One, the sheer panic I felt when I had to read it to a massive crowd at a real estate convention. Eek! And two, the fact that I wrote a detailed paragraph about the smell of freshly baked chocolate chip cookies greeting me as I arrived home from school – and about how little things like that are what make a house feel like home. So I started freezing the dough, then just baking off a couple of dough balls at a time right before she was due to arrive home. Voila – almost zero work for me, and the aroma of freshly baked cookies to greet her when she got home. Win. This particular cookie recipe was devised back when my kiddo was younger, even pickier, and in need of some heartier foodstuffs in her diet. So I added wheat germ, oats, and ground flaxseed to her favorite chocolate chip cookies, and bingo! Fiber Cookies were born. Or “Fiver Cookies” as her then-toddler self called them. 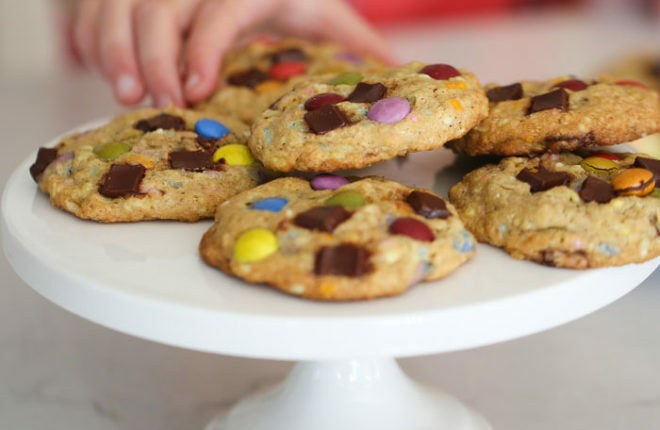 Now, they’ve evolved into “After-School Loaded Chocolate Chip Cookies” with candy-coated chocolate and sprinkles for color and fun. They’ve got the sweet stuff that makes them a treat but some added good stuff that gives them a bit of hearty nutrition that helps me, as a mom, feel a little more satisfied when she eats them. 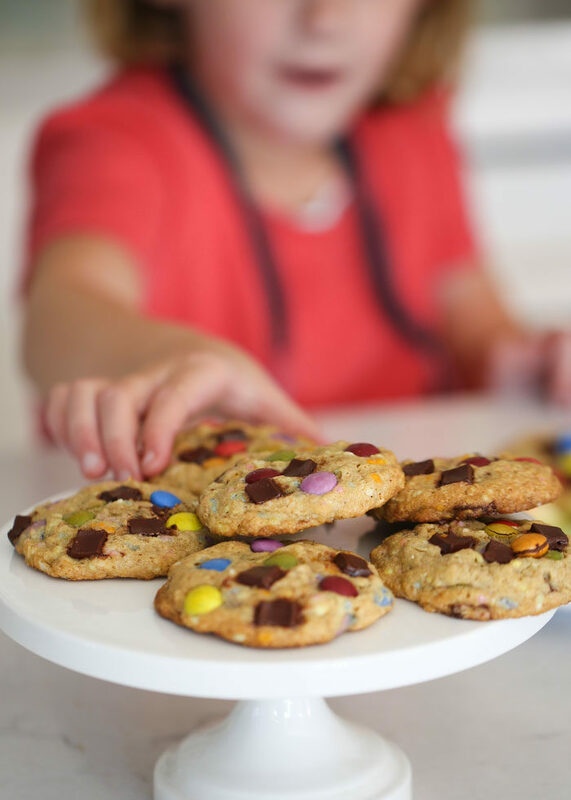 Another point of satisfaction when it comes to this recipe for After-School Loaded Chocolate Chip Cookies? That I can make them with almost all organic products without breaking the bank. At my local Safeway, there’s an affordable O Organics option for so many products. 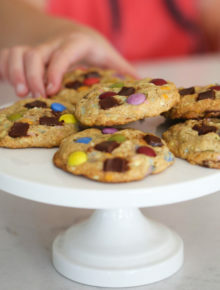 These cookies, for instance, are made with O Organics sugar, eggs, butter, and oats. And even the chocolate chips too! Chocolate chip cookies = home. 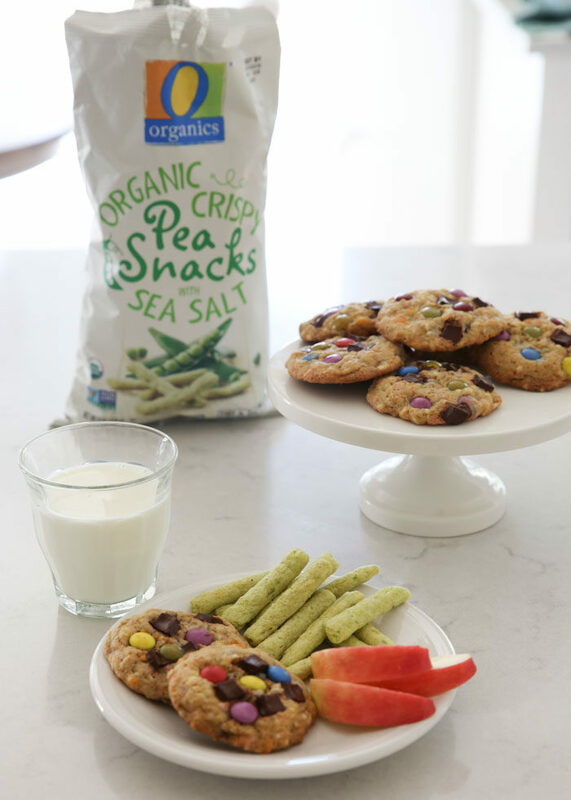 Chocolate chip cookies with a bunch of extra awesome organic stuff in them = best home EVER. In the bowl of a stand mixer or in a medium bowl using a hand mixer, add the butter and sugars. Mix until well-incorporated, about one minute. Add the eggs and vanilla. Mix until combined. Add the flour, baking soda, salt, wheat germ, and flaxseed meal. Mix JUST until combined (do not overmix). 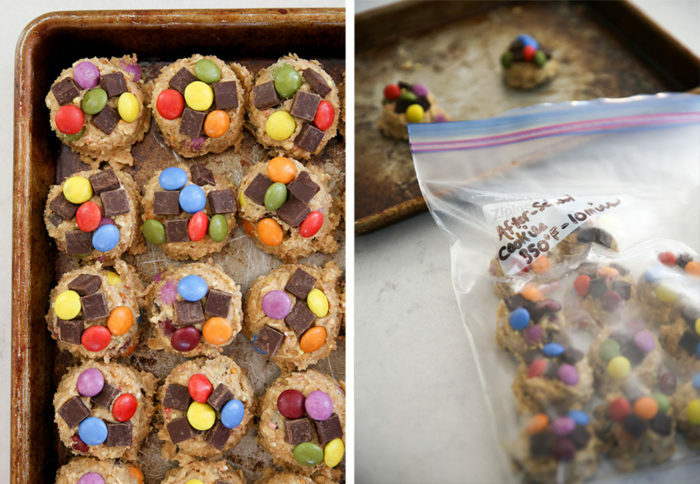 Add the oatmeal, chocolate chips, candy-coated chocolates, and sprinkles if using. Mix just until incorporated. 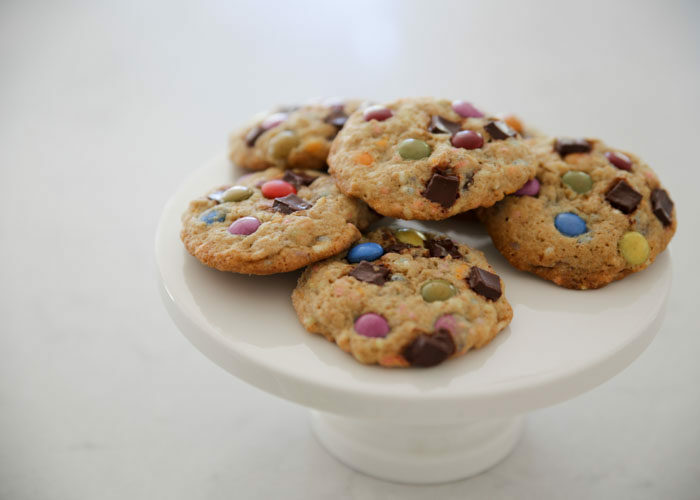 Scoop into 1.5-inch balls and top with two or three extra chocolate chips or candies if desired. Place on baking sheet about 2 inches apart. Bake until slightly golden around edges, 8-10 minutes. Remove from oven and let cool for about 5 minutes, then transfer to a wire rack to cool completely. Store in an airtight container at room temperature for 4-5 days. Scoop into 1.5-inch balls and line them up right next to one another on a cookie sheet. 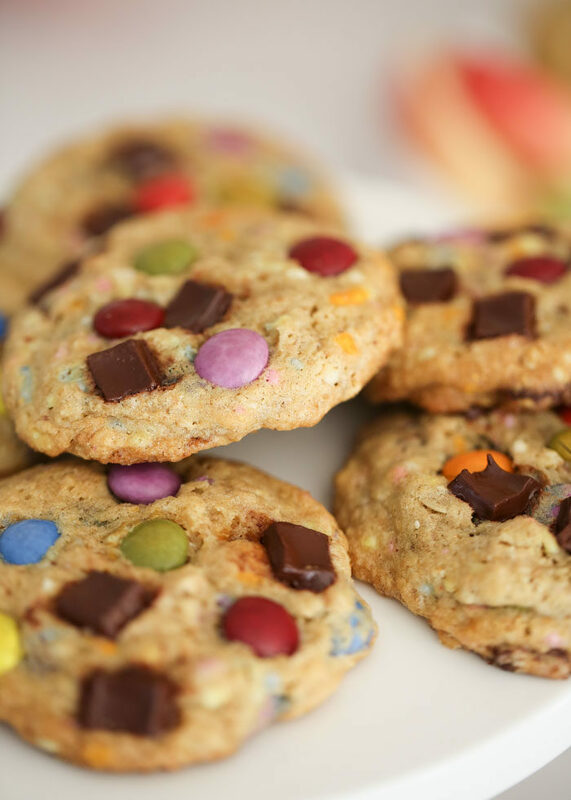 Top with two or three extra chocolate chips or candies if desired. Transfer to freezer. When frozen, break apart the cookie dough balls and place in a freezer bag. Put back in freezer until you’re ready to bake. To bake, pull as many cookie dough balls as you want to bake out of the freezer. Place on baking sheet about 2 inches apart. Bake until slightly golden around edges, 9-11 minutes. Remove from oven and let cool for about 5 minutes, then transfer to a wire rack to cool completely. Store in an airtight container at room temperature for 4-5 days. * To toast the wheat germ, heat oven to 350 degrees Fahrenheit. Spread wheat germ evenly on a rimmed baking sheet. Bake until lightly golden and slightly fragrant, about 5 minutes. Let cool. 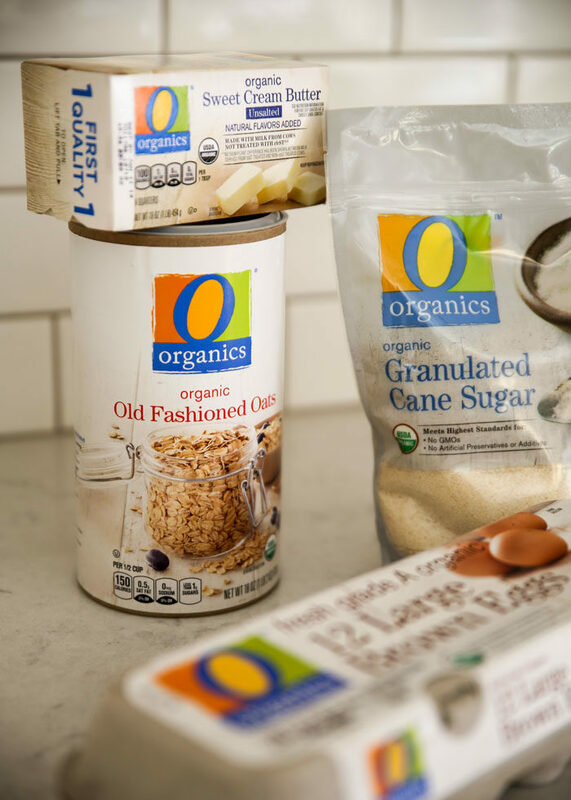 You can find O Organics products exclusively at all of the Albertsons Companies family of stores, including Albertsons, Safeway, ACME Markets, Jewel-Osco, Vons, Pavilions, Randalls, Tom Thumb, Shaw’s, Star Market, and Carrs/Safeway. Visit Safeway.com to find a store near you and discover more meal-prep tips and recipe ideas. This is a sponsored conversation written by me on behalf of Albertsons Companies. The opinions and text are all mine! One of the best and awesome recipe.